Two months ago I went to the Sugar coated press days of PR agency O'Sérieux where I could check some amazing upcoming collections from Patrizia Pepe, Pume time and a lot more. Also the new collection of Samsonite was present with some lovely colors and prints. We had the opportunity to win one of the limited edition Brasil S'cure spinners. The mission was to kick a football for 3 times in one of the holes in the goal. We had 10 chances to reach this. Luckily I asked my boyfriend to enjoy my trip to Antwerp. Thanks to him I won this awesome suitcase in a few minutes. I can't wait to use it for my next trip! 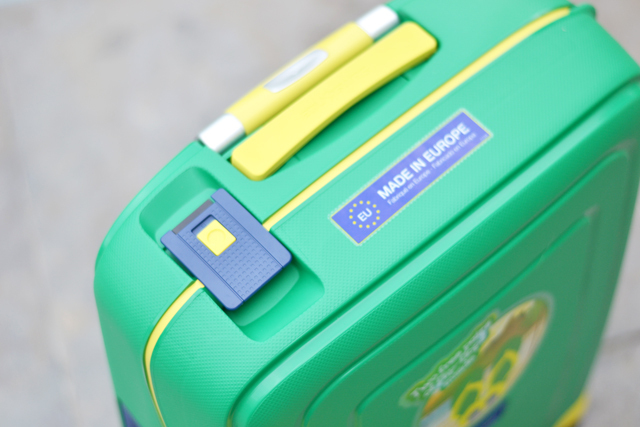 The quality and finishing is so much better then my other suitcases and it also looks very cool because of the Brazilian colors. Ps. The flip flops were also included. 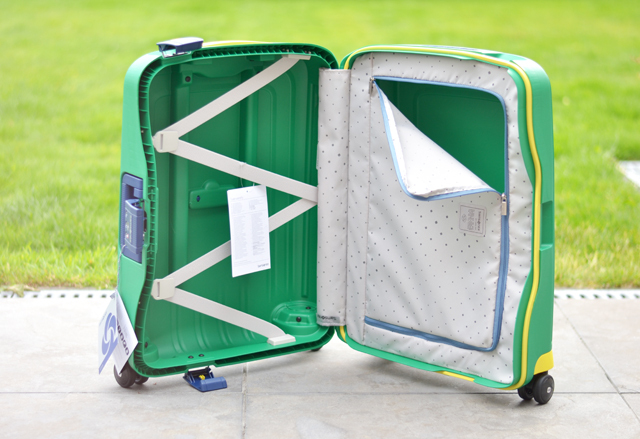 You can find this suitcase also on travelbags.be I have the smallest size 55. Wat tof! Mooi ding is het! Super dat je die gewonnen hebt! Ik wou ook meedoen, maar had geen tijd meer.